25 sentences. First students have to complete them with the Past Simple form of the verbs in brackets. Then, they are to match them to the pictures. Hope it's useful. The above downloadable handout was created for high school students and elementary school students at Elementary (A1) and Pre-intermediate (A2) level. 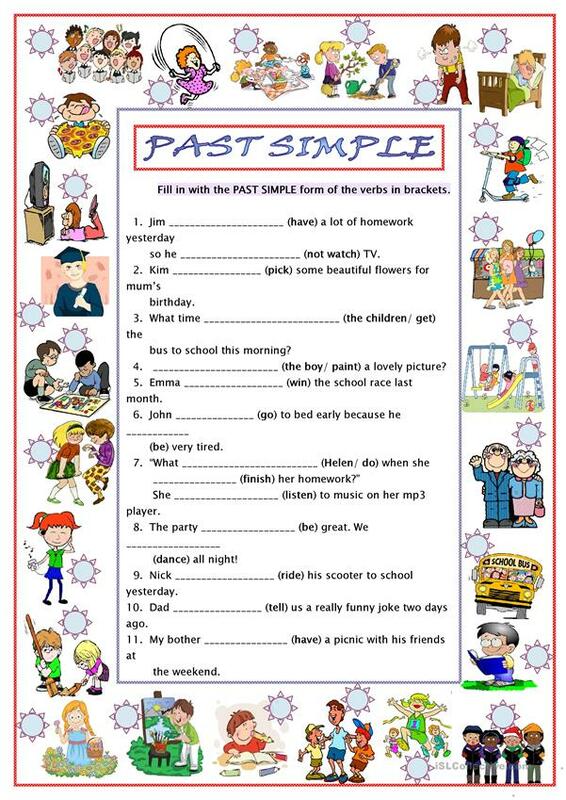 It is great for consolidating Past simple tense in English, and was designed for honing your students' Reading skills.